D.C., Wash. - May 19, 2015 - PRLog -- BlackLife Coaches Network announces the selection of Dr. Artika Tyner (https://www.linkedin.com/pub/dr-artika-tyner/6/3b4/222) as Coach of the Month for May 2015. The Coach of the Month Award recognizes a member of the network who, through their work, displays a commitment to BLCLife’s mission to help black people everywhere lead an extraordinary life by harnessing the power of life coaching. Currently an Assistant Professor of Public Policy and Leadership at the University of St. Thomas’ College of Education, Counseling and Leadership, Tyner is building a social change movement by reimagining education and reimagining the very essence of leadership. Her work is inspiring people across the globe to unleash transformative power within their hands to move beyond race, tribe, and creed to our shared humanity and shared destiny. Tyner serves on the board of the Children’s Defense Fund-Minnesota and supports a number of causes including the Campaign for Prison Phone Justice, and local and national efforts to dismantle the school to prison pipeline. “Due to the economic, racial and social injustices that marginalized communities are currently facing, now is the time when leaders must stand ready to take a stand for justice. We each can play an integral role in advancing leadership for social justice. My leadership training model (Planting People, Growing Justice™) provides everyday people with the right tools for becoming the transformational leaders who can make a difference in this world. Planting Peoplerecognizes that each person has a measure of influence that can be used to positively affect the world around them. Growing Justice fosters collective engagement through community organizing and public policy advocacy." 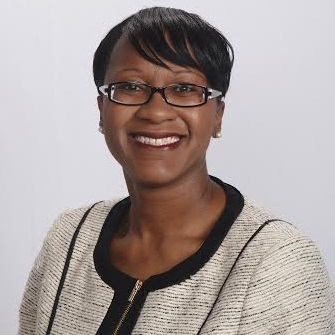 Tyner has served in many different positions at the University of St. Thomas where she earned her Masters degree in Public Policy and Leadership, her law degree, and most recently, her Doctorate in Leadership. She has been a member of the Clinical Law Faculty team and Director of Diversity for the Law School. While making a difference in the classroom, Tyner is also making her mark in print. She is the author of numerous publications including The Lawyer as Leader, How to Plant People and Grow Justice (American Bar Association, September 2014), A Long Time Coming: The Case for Prison Phone Justice Reform (Clearinghouse Review Journal of Poverty Law and Policy, 2014), Planting People, Growing Justice: The Three Pillars of New Social Justice Lawyering (Hastings Race and Poverty Journal, 2013), and A Beautiful Mosaic: Promoting Diversity and Inclusiveness in Client Counseling (ABA Diversity Voice, 2012). Black Life Coaches Network is proud to honor Dr. Artika Tyner as the latest recipient of the Coach of the Month Award and looks forward to her continued career achievement and the lasting impact her work will have on policy, leadership and education. About Black Life Coaches Network: The network was founded in 2011 by award-winning author, inspirational speaker and community mentor Dr. Towanna Freeman. The organization connects and empowers the black community through its premier website which is loaded with informative, quality self-improvement and wellness information to help people become their best self. BLCLife (http://blclife.com/) is the online home for Black Life Coaches Network, and provides information ranging from in the areas of relationships and parenting, health and wellness and entrepreneurship and career. The website exists to connect the Black community to valuable life changing solutions and strategies with practitioners who can deliver just that. Today there are over 300 coaching professionals in the Black Life Coaches Network. Members are certified coaches, counselors, clergy and therapists. To join the top life coaching and personal development network in the black community, complete the membership form (http://blclife.com/join/) today.